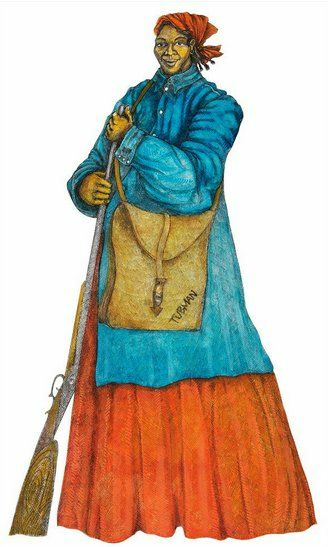 Charles Bibbs Hand Signed and Numbered Limited Edition Print:"Tubman's War"
Edition Size: Artist Hand Signed and Numbered Limited Edition with COA. Medium: Media: Giclee Print Paper: Museum quality, heavy weight, acid-free, watercolor-textured paper, printed with archival inks. Image Dimensions: 15" x 23.5 "
About the Art: A native of the Los Angeles Bay area and second child of a family of ten, Charles grew up with a host of love and a desire to succeed. Charles' father, Arthur, recognized his son's gift in early elementary school. He encouraged his gifted son to display and perfect his talents while exploring numerous ways of expressing his artist ability. His talent was further fueled by the works of Charles White, R.C. Gorman, Frank Howell, Earnie Barnes and Nathaniel Bustion, just a few of our most celebrated contemporary masters. Bibbs expanded his intrinsic ability by attending Long Beach City College, California State University, and Los Angeles Harbor College. A fine art artist, publisher and distributor - owns two galleries as well as a publishing and distribution business. The world of Charles A. Bibbs reflects spirituality, consciousness, strong ethnic pride, texture, movement and energy; characteristics that are recognized as hallmarks of fine art. These characteristics describe the zenith of fulfillment sought by all artists; they are comfortably embodied as the nucleus that forms the soul of Charles Bibbs.